Computer generated images have been released revealing what Glasgow Queen Street station could look like following its redevelopment. 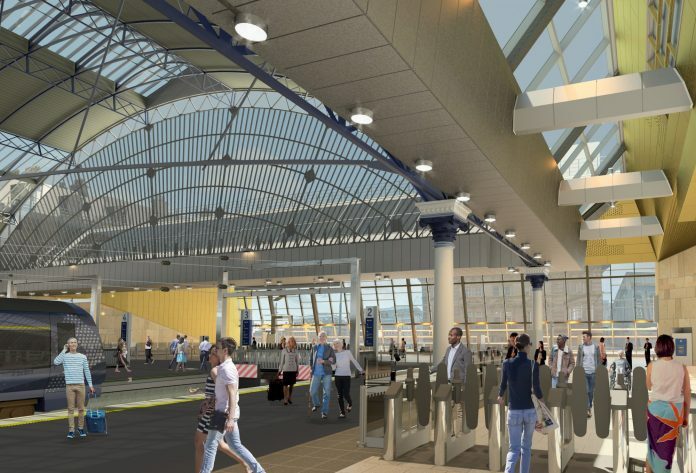 The station is being transformed to create more space for longer eight-carriage trains and will see: Platforms 2-5 extended towards George Square, taking up majority of the space covered by the Victorian train shed roof; and a new glass-fronted concourse, almost double the size of the existing space, built to accommodate the predicted increase in passenger numbers. The new concourse design is bigger, fully accessible, with entrances on George Square, Dundas Street and North Hanover Street, and is filled with natural daylight. The listed Victorian train shed roof has also been incorporated into the new structure and is fully exposed when viewed from platforms. Work began last year with the demolition of buildings in front of the station and around 75 per cent of this work is now complete. Network Rail is currently delivering the £120 million project, which is part of the Edinburgh Glasgow Improvement Programme (EGIP), on behalf of the Scottish government. 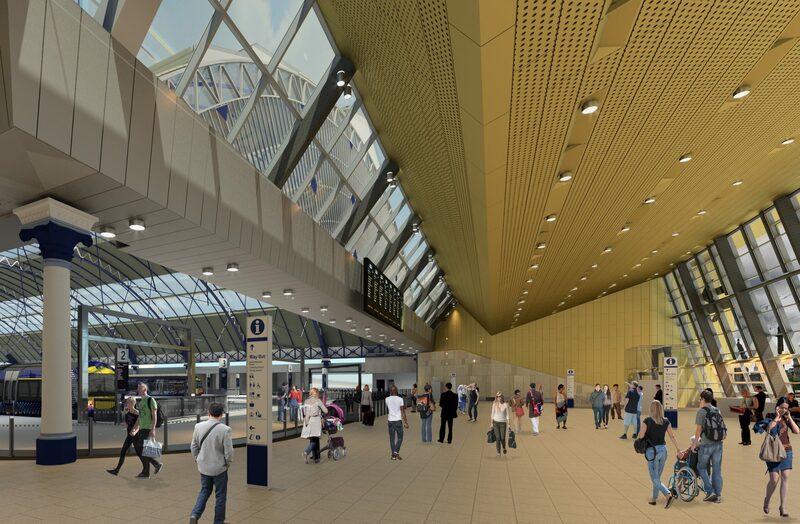 Network Rail project manager Jenna Clark said: “Using these latest computer generated images, passengers at Glasgow Queen Street and the surrounding community can start to visualise how much bigger and brighter their improved station will be. Work is scheduled to be complete by spring 2020 with the station remaining open throughout. LNER could also provide a new London King’s Cross-Glasgow Queen Street once the station development has been completed. Aswell ScotRail to introduce more services with the Class 385’s to enter service sometime this year.